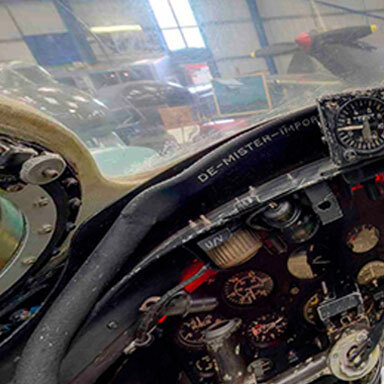 Tangmere 39, which will be held on Sunday July 19th, promises to be the Museum’s biggest and best Special Event ever! We are expecting flying displays by no fewer that 5 individual aircraft with the ‘star of the show’ being the RAF Battle of Britain Flight’s Hawker Hurricane, the type of fighter aircraft that was based at Tangmere when the war started in 1939. Also flying in our display will be a Dragon Rapide (about which more below) a Tiger Moth, a Chipmunk and a Harvard. Both the Tiger Moth and the Dragon Rapide are operated by Plane Heritage who will be present at the event to answer questions about their aircraft and to book pleasure flights for those who want the undoubted thrill of flying in a piece of Britain’s aviation heritage. 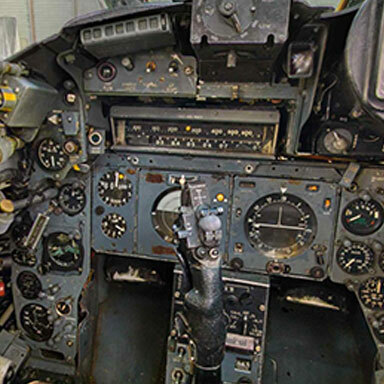 Weather permitting we will be opening more cockpits for public inspection than ever before, with the current schedule showing the Sea Vixen, the Sea Harrier, T33, Hunter and the Wessex all available. As well as that our ever-popular flight simulators will be open for visitors to try their hands at flying a variety of aircraft. On the ground we will have an aviation art exhibition with over 50 original pieces expected. Play it Again Sam, a live band will be playing music of the period and there will be cars of the period, a selection of stalls and a ground display of radio control scale model aircraft. Also on sale at the event will be tickets for our richest ever Grand Prize Draw. First prize is a ride in the Harvard, there are two prizes of a half hour trial flying lesson at the Goodwood Flying School, a chance to drive three laps of the Goodwood racing circuit in an Aston Martin DB4, a framed Spitfire print signed by WW2 fighter pilot and author Geoffrey Wellum, theatre tickets, models and other prizes. Tickets for this magnificent draw are £1 each and are on sale now at the Museum. The prize drawing will take place at Tangmere 39. Doors open on Tangmere 39 at 10.00am and the entry price will be £7.00 per person – cash only, we cannot accept credit cards on the Entry Gate. Accompanied under 16s will be admitted free. Parking will be on the airfield and that, too, is free.